Fresh cold air system, refrigerated air supply system which provides comfortable and safe cooled breathing air for industrial users who require an OSHA compliant fresh air supply system, with the advantages of air-conditioned air. It can maximize productivity and minimize the possibility of heat stroke, heat exhaustion, dehydration, nausea and cramps for your workers. While our Cold Air System improves the worker’s safety and comfort, it also helps reduce their frequency and duration of breaks on the job. This self-contained, low maintenance unit includes a removable, washable filter and is powder coated for a longer lasting durability. 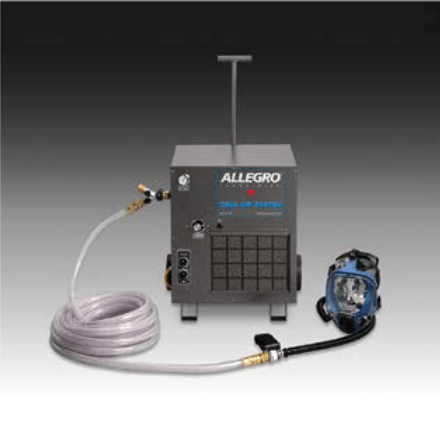 provide a portable cold air source for one or two respirator users. breathing air hose(s). Includes NIOSH approved respirator(s).